Hiking with Fido - Hikes with Dogs on Southern California Hiking Trails: Do your friends swoon every time your dog performs his/her favorite trick? 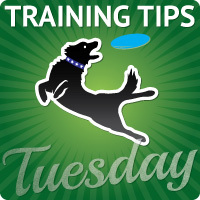 February is #DogTrainingEducation month! To celebrate we are doing a #giveaway for one of our Dog Training Treat Aprons. These are great for training or to hold treats and stuff during a hike. Join us: @ash_n_pups @HelloKingston and @HikingwithFido and share your pup's favorite trick! Rules: 1. Follow @ash_n_pups, @HelloKingston and @HikingwithFido 2. Repost this post 3. Post a NEW photo or video of your dog, or you and your dog, performing his/her favorite trick. 4. Use #DogTrainingEducation and #MyFavoriteDogTrick in your caption 5. Tag up to 3 IG friends to join Please NOTE: The long line, Samsung phone and tennis ball in the picture are there to gauge size of the pockets, and are NOT included in the giveaway. I realize that the lavendar apron is in the picture, but there is also a black apron with a contrasting liner for those that don't like lavendar. We will be in touch with the winner to find out what color they prefer. Photo submissions start on Feb. 18, 2016 at 6:00am PST. Contest Ends Feb. 29, 2016 at 10:00pm PST. Contest open to U.S. residents 18 and over only. Winner will be chosen at random. Do your friends swoon every time your dog performs his/her favorite trick? February is #DogTrainingEducation month! To celebrate we are doing a #giveaway for one of our Dog Training Treat Aprons. These are great for training or to hold treats and stuff during a hike. Join us: @ash_n_pups @HelloKingston and @HikingwithFido and share your pup's favorite trick! Rules: 1. Follow @ash_n_pups, @HelloKingston and @HikingwithFido 2. Repost this post 3. Post a NEW photo or video of your dog, or you and your dog, performing his/her favorite trick. 4. Use #DogTrainingEducation and #MyFavoriteDogTrick in your caption 5. Tag up to 3 IG friends to join Please NOTE: The long line, Samsung phone and tennis ball in the picture are there to gauge size of the pockets, and are NOT included in the giveaway. I realize that the lavendar apron is in the picture, but there is also a black apron with a contrasting liner for those that don't like lavendar. We will be in touch with the winner to find out what color they prefer. Photo submissions start on Feb. 18, 2016 at 6:00am PST. Contest Ends Feb. 29, 2016 at 10:00pm PST. Contest open to U.S. residents 18 and over only. Winner will be chosen at random.